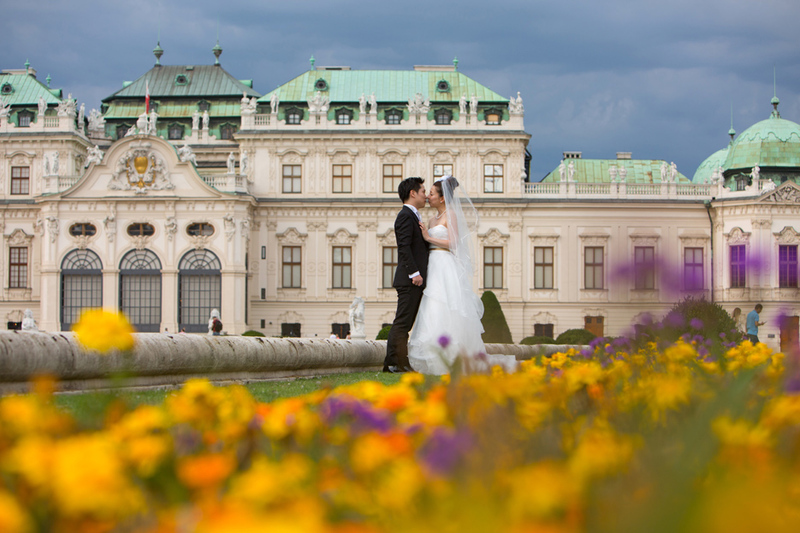 Kenichi & Chie from Japan were looking for an equal dose of history, art and fun, a mix of classic buildings and colorful parks for their Honeymoon Photoshooting in Vienna. „Schloss Belvedere“, a masterpiece of total art was the perfect mach, with the colorful flowers around, the Vienna Skyline in the background and the magnificent building itself. After explore every corner at Belvedere we moved to Michaeler Platz for a ride with the „Fiaker” trough the historical streets in the city center.